This article explains some of the main and important concepts of LINQ and C#. The article explains LINQ in detail, and covers almost every concept of LINQ and C# 2.0 and 3.0. This is an effort to put together the important concepts in one place to make it easy to follow. I will explain the topics by giving simple examples, rather than explaining too much theory behind the examples. The reader of this article should be aware of the LINQ term. The reader should have basic knowledge of SQL. The reader should know how to code in C#. LINQ is a uniform programming model for any kind of data. LINQ enables you to query and manipulate data with a consistent model that is independent from data sources. LINQ is just another tool for embedding SQL queries into code. LINQ is yet another data abstraction layer. In my terms, LINQ is actually a methodology that simplifies and unifies the implementation of any kind of data access. LINQ does not force you to use a specific architecture; it facilitates the implementation of several existing architectures for accessing data. LINQ is a programming model that introduces queries as a first-class concept into any Microsoft .NET language. However, complete support for LINQ requires some extensions in the language used. These extensions boost productivity, thereby providing a shorter, meaningful, and expressive syntax to manipulate data. The SQL-like syntax used in LINQ is called a query expression, but remember LINQ is not the same as embedded SQL. Therefore, we see the compiler internally treats this SQL type query as a simple C# lambda expressions query. In both the above mentioned examples, the LINQ query does not execute in the first line actually, it is executed in the second line when that query variable is actually addressed or used. Write a code and try it yourself. The above two statements clearly state both the models, if you are aware of SQL queries, you can get the above given examples. Follow the below mentioned scenarios. LINQ requires to describe your data in terms of entities that are also types in the language. A LINQ query, it is always a set of operations on instances of some classes. These objects might be the real container of data, or they might be a simple description (in terms of metadata) of the external entity one is going to manipulate. A query can be sent to a database through an SQL command only if it is applied to a set of types that map tables and relationships contained in the database. The conversion of all these operations in SQL commands is the responsibility of the LINQ engine. LINQ has a different set of classes and extensions to support the manipulation of XML data. LINQ enables a more declarative style of coding for C# and Visual Basic. In SQL, we describe what you want. In C#, we describe how to obtain the expected result. Declarative programming can take advantage of services offered by compilers and frameworks, and in general, it is easier to read and maintain. This single “feature” can be the most important one because it boosts programmers’ productivity. Another important aspect of language integration is type checking. Whenever data is manipulated by LINQ, no unsafe cast is necessary. Data is always strongly typed, including both the queried collections and the single entities that are read and returned. This enables the use of Visual Studio features such as IntelliSense and Refactoring, even with LINQ queries. The type system of the Microsoft .NET Framework and the type system of SQL Server are different. Using LINQ, we give precedence to the .NET type system because it is the one supported by any language that hosts a LINQ query. It is necessary to convert many types of data between these two worlds. LINQ handles this conversion for you automatically, making the differences in type systems almost completely transparent to the programmer. LINQ to Objects has the goal of manipulating collections of objects, which can be related to each other to form a hierarchy or a graph. From a certain point of view, LINQ to Objects is the default implementation used by a LINQ query. LINQ to Objects is enabled including the System.Linq namespace. LINQ to EntitiesIs in many ways similar to LINQ to SQL. However, instead of using the physical database as a persistence layer, it uses a conceptual Entity Data Model (EDM). The result is an abstraction layer that is independent from the physical data layer. You must be aware of this concept very well, but I wanted to cover this in my way taking simple examples. I hope you got the issue, yes type casting. A delegate is a class that encapsulates one or more method. Internally, one delegate stores a list of method pointers, each of which can be paired with a reference to an instance of the class containing an instance method. C# 3.0 offers type inference that allows us to define a variable by using the var keyword instead of a specific type. This might seem to be equivalent to defining a variable of type object, but it is not. When var is used, the compiler infers the type from the expression used to initialize the variable. The compiled IL code contains only the inferred type. The var keyword can be used only within a local scope. In other words, a local variable can be defined in this way, but not a member or a parameter. C# 2.0 introduced the capability to “pass a pointer to some code” as a parameter by using anonymous methods. This concept is a powerful one, but what you really pass in this way is a reference to a method, not exactly a piece of code. That reference points to strongly typed code that is generated at compile time. Using generics, we can obtain more flexibility, but it is hard to apply standard operators to a generic type. C# 3.0 introduces lambda expressions, which allow the definition of anonymous methods using more concise syntax. Lambda expressions can also optionally postpone code generation by creating an expression tree that allows further manipulation before code is actually generated, which happens at execution time. C# 3.0 introduces a syntax that conceptually extends an existing type (either reference or value) by adding new methods without deriving it into a new type. The methods that extend a type can use only the public members of the type itself, just as you can do from any piece of code outside the target type. An extension method must be static and public, must be declared inside a static class, and must have the keyword this before the first parameter type, which is the type that the method extends. Extension methods are public because they can be (and normally are) called from outside the class where they are declared. However, the result type of the extension method might be the extended type itself. LINQ very frequently uses extension methods in this way. An extension method is not automatically considered. Its resolution follows some rules. Here is the order of evaluation used to resolve a method for an identifier. Instance method: If an instance method exists, it has priority. Extension method: The search for an extension method is made through all static classes in the “current namespace” and in all namespaces included in active using directives. An object initializer can also be used without specifying the class that will be created with the new operator. Doing that, a new class-an anonymous type-is created. C# 3.0 also introduces query expressions, which have a syntax similar to the SQL language and are used to manipulate data. This syntax is converted into regular C# 3.0 syntax that makes use of specific classes, methods, and interfaces that are part of the LINQ libraries. orderby-clause? (select-clause | groupby-clause) query-continuation? The first from clause can be followed by zero or more from, let, or where clauses. A let clause applies a name to the result of an expression, while a where clause defines a filter that will be applied to include specific items in the results. Each from clause is a generator that represents an iteration over a sequence on which query operators (such as the extension methods of System.Linq.Enumerable) are applied. join-clause ::= join itemName in srcExpr on keyExpr equals keyExpr (into itemName)? query-continuation ::= into itemName query-body. Long post, I guess we covered a lot of concepts deeply. 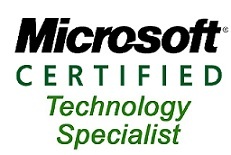 You can learn more theory from MSDN or other renowned community sites. We covered very important and deep concepts of LINQ, C#2.0 and C# 3.0. To read more informative articles on C#, ASP.NET and MVC, follow A Practical Approach.